President Donald Trump is calling for "a long-overdue reform of H-1B visas." But what changes does he want, and can he get Congress to agree? Here's a look at some some of the key questions around Trump's visa reform effort and his "Hire American, Buy American" executive order. What's the most important thing that Trump wants to accomplish? In issuing his executive order, Trump called the "totally random" H-1B lottery "wrong." He wants the visas distributed to "the most-skilled and highest-paid" applicants. He wants to end "abuse." How much power does Trump have to change the visa lottery? Not as much as some had hoped. "The very fact that the executive order was such a nothing order was because they [in the Trump administration] understand how limited their authority under the statute is," said William Stock, an immigration attorney at Klasko Immigration Law Partners and president of the American Immigration Lawyers Association. In other words, Trump needs legislation from Congress to make major changes to the H-1B visa program. The IEEE-USA had argued that Trump had authority to change the lottery administratively without Congress, and urged him to act quickly. But Trump didn't heed this advice. How will Trump's order affect the H-1B visa approval process? Immigration attorneys are expecting ever-more scrutiny of visa applications and more "request for evidence" (RFE) from the U.S. Citizenship and Immigration Service (USCIS) examiners. RFE demands -- bureaucratic-speak for more paperwork -- were already on the rise under President Barack Obama's administration. "The executive order was fairly vague, but it's clear that Trump has H-1Bs in his sights," said Mark Koestler, an immigration lawyer at Kramer Levin. Trump's executive order will be "in the back of every examiner's mind." Said Stock: "In an environment where the top folks are saying this [approving visas] needs to be restricted, 'no' will never be the wrong answer for somebody to give." David Jones, an immigration attorney at Fisher Phillips, is expecting more on-site visits to double-check the accuracy of visa applications. The USCIS hires contractors who go to H-1B-using worksites to make sure everything that was stated in the petition was accurate, he said. Will Trump raise the salaries of H-1B workers? Wages for the lowest-paid H-1B visa workers are almost certain to rise. The Trump administration believes it can do this administratively, or without Congress. The goal is to create "a more honest reflection of what the prevailing wages actually are in these fields," said a senior administration official at a background briefing. H-1B workers must be paid at one of four prevailing wage levels. There is a large gap from level one to four. In Charlotte, N.C., a relatively higher-paying region, the level 1 wage for a software developer is $63,669, and for level 2 it's $79,331. The mean is level 3, or $94,973. A level 4 software developer is paid $110,635. The ability of employers to pay level 1 wages, or entry level, is almost certain to be eliminated, and it would not be surprising to see level 2 wages disappear as well. What does Trump mean when he cites "visa abuses?" The administration has cited the displacement of approximately 250 IT workers at Disney as its example of abuse. Disney hired offshore outsourcing firms to take over work, and some of the Disney workers had to train visa-holding replacements. It considers this abuse. What else can Trump do to the visa program without Congress? The Obama administration gave spouses of some H-1B visa holders the right to work; this applied to those visa holders seeking permanent residency. 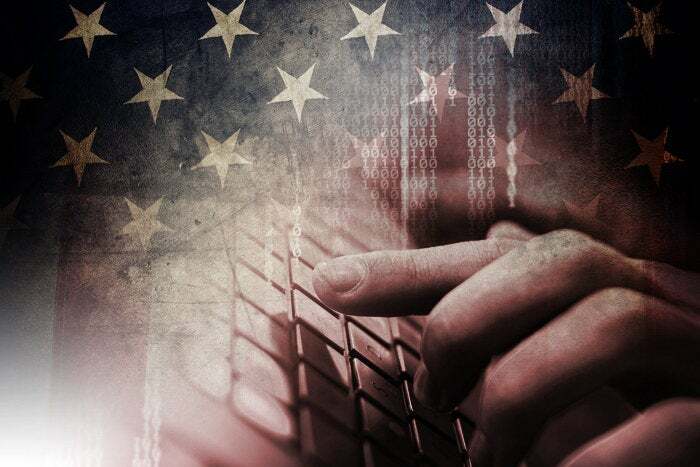 The rule is being challenged by displaced IT workers in federal court. The Trump administration has asked the court to delay action to give it time to reconsider the spouse work rule. Another program that may be changed by Trump is the Optional Practical Training (OPT) program. This program initially allowed someone to work on a student visa for up to 12 months. In 2008, President George W. Bush extended it by 17 months for STEM students. The Obama administration increased the STEM extension to 24 months, or 36 months in total. The OPT extension and spouse rule were created by executive order, which gives Trump the ability to reverse or modify these actions. The Trump administration has not said what it will do -- if anything -- to either rule. Will the Trump administration attack the H-1B program in court? There's reason to believe the Department of Justice (DOJ) is preparing a legal attack on the offshore outsourcing business model. 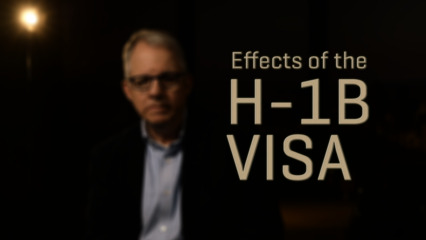 It recently warned employers not to use the H-1B program "to discriminate against U.S. workers." U.S. workers who have been replaced by offshore firms have been alleging discrimination in some civil lawsuits. They claim that their replacement by workers mostly from India is a form of discrimination. The DOJ is encouraging IT workers to file complaints by phone (1-800-255-7688) or by email. What role will India play in the debate? Indian officials are calling the H-1B issue a "trade and services issue." India is putting the U.S. on notice; it is telling lawmakers that the work visa is part of a larger trade issue. If the Trump administration and Congress restrict the visa in a way that hurts India's IT services firms, this country may retaliate on trade. India is a large and growing market for U.S. firms, which gives it clout in Washington. How will Trump work with Congress? The Trump administration believes "there's great enthusiasm for H-1B reform" in Congress, said a senior administration official at a background briefing. It is asking federal agencies to prepare recommendations for reform that it will likely take to Congress. Will Congress work with Trump on H-1B reform? The Trump administration will face big problems in Congress. For sure, lawmakers in both parties have cited the displacement of IT workers by visa holders as a issue. "We need to ensure that this system is not manipulated to undercut domestic wages or displace American workers," said Sen. Orrin Hatch (R-Utah). But Hatch is also the tech industry's leading proponent in the Senate, and in exchange for some reforms in how the H-1B visa is used, he will want an increase in the visa cap. Hatch will likely fight Sen. Chuck Grassley (R-Iowa), a leading reformer, on key issues, namely a requirement to first hire a U.S. worker before hiring a visa worker. Will Congress act on H-1B reform? The Trump administration and Congress are not off to a good start. The administration is still seeking health care legislation, and it has numerous fights ahead of it on taxes, the budget and wall on the U.S. border with Mexico. "Watching Washington," said William Stock, the AILA president, "I am really worried about whether they are going to pass a budget, whether they are going to raise the debt ceiling by June." H-1B legislation may be possible, said Stock, but as he looks at the many other issues before lawmakers he can't help but wonder if it will indeed happen.